Every once in a while, you run into an individual who’s got that “It” thing going on. You know, the bigger-than-life types… the ones who exude confidence, awareness and over-the-top, in-yer-face personality. The ones with an undeniable energy. The ones who stake their claim to the space simply by being there. And, in my experience, these It-Factor types occur with animals as well as humans. 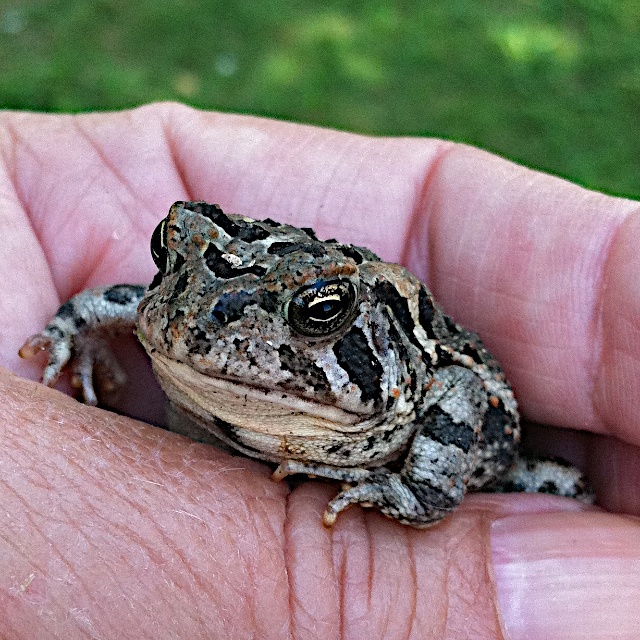 My research indicates that this little fellow may be an Oak Toad (Anaxyrus quercicus). 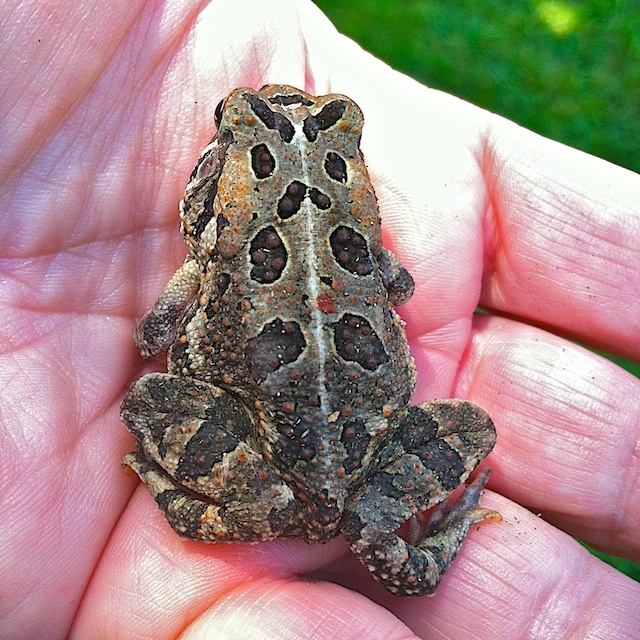 According to the Virginia Herpetological Society, these little toads are quite rare in the state and require a “very high conservation need” as the species is at high risk for extinction or extirpation. 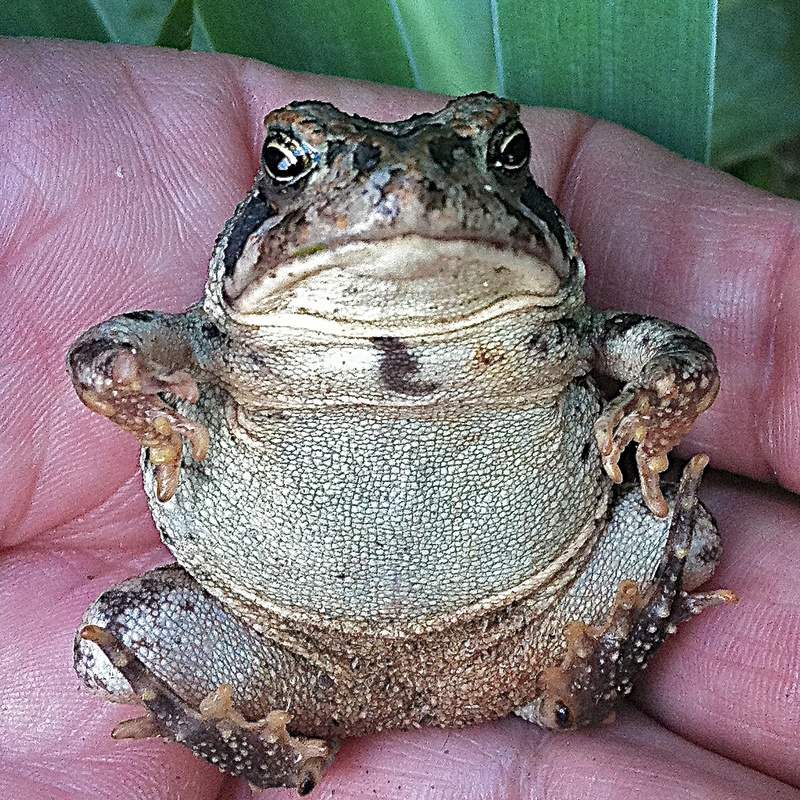 Photo note: I tried, tried, tried, to achieve a photo with Buddha Toad’s nose in the same focal plane as the rest of his body… however, my trusty iPhone camera was not so trusty on that day; Buddha Toad’s nose remains out of focus in a photo or two. But then, I figured his personality transcends all technical issues… so I’ve published anyway. 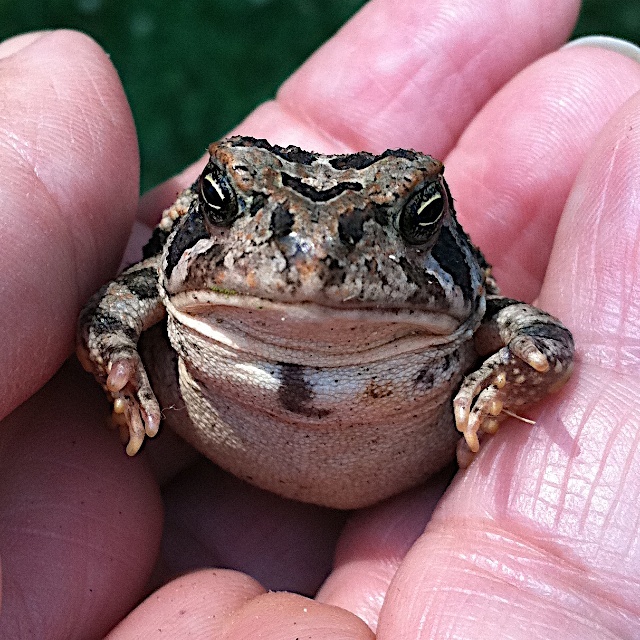 I promise to find another It-Factor amphibian and try again!